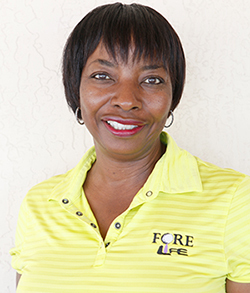 Ms. Tucker left a 14 year career in the financial services industry as a licensed broker to pursue her passion for golf. She moved back to Miami from Atlanta in 1998 where she could play golf year round and fulfill her desire to play professionally. In 2004, Ms. Tucker turned professional and was a member of developmental tour of the LPGA for over 10 years. Ms. Tucker holds a Bachelor of Science degree from the University of Florida in Journalism and Communications where she majored in Public Relation and Early Childhood Education. 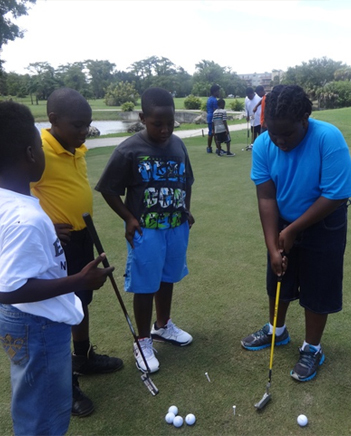 She was listed in the inaugural edition of “Who’s Who in Black South Florida (2007)” and is featured in the book “African American Women in Golf, Her Legacy” and Heroines of African American Golf by M. Mikell Johnson, Ph D.
Hall of Fame Family Golf Day To celebrate the induction of Paula Pearson-Tucker into 2013 African American Golfers Hall of Fame.